A 16-year-old football player has been charged as an adult for killing a 17-year-old pregnant schoolmate and cheerleader whose body was found in an Indiana restaurant dumpster. 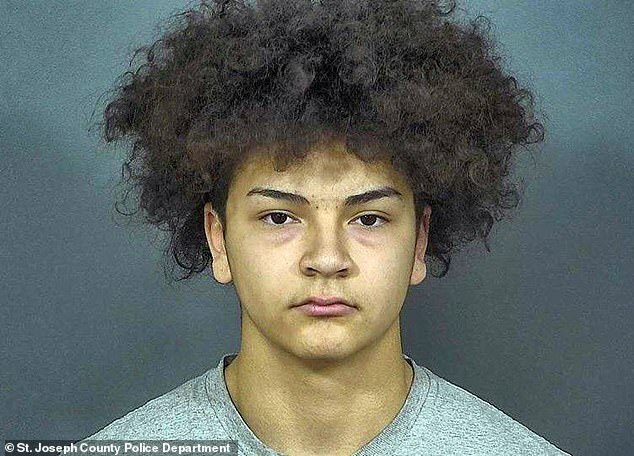 Aaron Trejo, 16, of Mishawaka, Indiana, was arrested Sunday. He told police he stabbed the girl after she hid her pregnancy. 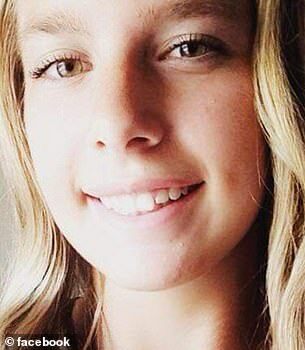 The body of Breana Rouhselang, 17, a cheerleader and football team manager at Mishawaka High School, was discovered by authorities Sunday morning in a dumpster behind Pasquale Rulli Pizza in Mishawaka, just a block away from where she lived with her biological mother. According to charging documents, Trejo confessed that he thought about killing Rouhselang for a week, brought a knife to a meet up and stabbed her so she'd die quickly. He then disposed of her body and that of the unborn child in a plastic bag he'd brought along before throwing her phone in a river. He is set for arraignment on Tuesday. Her mother last saw her alive when the teen said she was going to meet the father of her baby behind their house at 11pm. She never returned. Detective Gery Mullins detailed the conversation in charging documents in which Trejo confessed to the horrifying crimes, which occurred after the teenage pair had a fight. 'I then asked Aaron if the fight was about the pregnancy,' Mullins wrote. 'Aaron Trejo quietly said, "Yes." Aaron then explained that Breana waited too long to tell Aaron about the pregnancy to get an abortion. I asked Aaron what he did about that, and he replied, "I took action...I took her life." 'Aaron explained that he stabbed Breana in the heart with a knife he brought from home. Aaron chose to use a knife because he thought it would kill Breana quickly. 'Aaron stated that he put the black plastic bag over Breana, which he had brought from home for that purpose. Breana's stepmother, Nicole Rouhselang, told reporters on Sunday that Breana had been about six months pregnant at the time of her death. Nicole also said that the last time that she had seen Breana was when she attended her father Dave Rouhselang's birthday celebration on November 17. Breana was last seen at her home at 11 pm Saturday before leaving and telling her mother she was going to meet the father of her baby. Her mother woke up at 1 am and realized her daughter wasn't home and went to Trejo's house. Trejo told her that Breana never showed up to talk and that she's lost her phone. Her family called police about 4.30 am Sunday after they 'got the feeling that something wasn't right,' Arendt said. Authorities then began searching the alley near her family home, eventually discovering her body in the dumpster behind Pasquale Rulli's. Authorities said that the restaurant itself was not involved in the homicide, but that it was just 'a location of opportunity to hide the victim,' according to the South Bend Tribune. Authorities executed a search warrant at Trejo's home Sunday morning and arrested him there. Arendt said that Breana knew Trejo, who also attends Mishawaka High School, from the football team, but the extent of their relationship was under investigation. Superintendent for School City of Mishawaka, Dean Speicher, told the South Bend Tribune that Breana and Trejo had been attending school together since they were students at John Young Middle School. The two teens, who lived near each other, were Facebook friends, but Trejo listed himself as 'single' and Breana did not have her relationship status posted. Nicole told reporters that Breana had aspirations of going to college, but that she had been receiving failing grades recently. Students at Mishawaka High School staged a walkout Monday at 11am, observing a moment of silence around the school's flagpole in honor of their friend and the time when police found Breana's body, according to ABC57. A GoFundMe has been established on behalf of the teen's father, Dave, and stepmother, Nicole, to help pay for her funeral and memorial expenses. More than $2,100 in contributions have been made since the page was created on Sunday. 'This is such a hard tragedy to accept! This loving young lady was so full of life and didn't deserve this,' reads the description on the fundraising site page. The school district in Mishawaka, which is next to South Bend and about 80 miles (130 kilometers) east of Chicago, issued a statement Sunday saying administrators were working with authorities in investigating the 'terrible tragedy' and that grief counselors would be available at Mishawaka High School on Monday. 'Our thoughts and prayers are with the family members and friends who have been affected by this great loss,' the statement said.